Expert information on complementary and integrative cancer therapies and the latest emerging alternative cancer treatments, not just orthodox cancer treatment. CANCERactive is the UK leader in Integrative Oncology. Our aim is to help you increase your personal odds of beating cancer by providing you with information - ALL the information - not just on orthodox cancer treatments but on complementary therapies and even the latest emerging alternative cancer therapies too. We want to empower you, allowing you to take more control over your own health and your own treatment programme; and giving you the opportunity to make more informed personal choices to both prevent and treat cancer. Using the best of the best by combining orthodox medicine with complementary approaches (traditionally called HOLISTIC medicine, but now dubbed Complementary and Integrative Medicine, or CIM) will increase your personal odds of survival. It is not just straightforward common sense, it has clear research from top cancer centres to back it up. And this website is very different - it is a magazine on the web. Easy-to-read, easy-to-understand and easy-to-use. * All the cancers - with overviews on each plus articles on various interesting topics from a variety of expert doctors and oncologists. * All the cancer treatments - from orthodox cancer treatments like cancer drugs, radiotherapy and surgery to new, so called alternative cancer treatments like HIFU, localised Hyperthermia, Virotherapy, Dendritic cell therapy, Photodynamic Therapy; and complementary cancer therapies like acupuncture, diet, calorie restriction, and exercise like yoga and meditation. After all, the American Cancer Society in May 2012 issued a report concluding that since 2006 there has been an explosion in research on complementary therapies and there is overwhelming evidence that diet, exercise and weight control are three complementary therapies that can increase survival times and even prevent a cancer returning. Integrative cancer centers like the Block Center in Illinois have shown that Complementary and integrative cancer programmes can double survival times with breast cancer. Then there are studies from UCLA and others showing that Stress Management Techniques can improve survival significantly. And research studies from the NCI in America showing that certain supplements can help stop a cancer re-growing. We tell you all the details and more. CANCERactive is the UK home of Cancer Prevention. In 2004 we held Britains first major Cancer Prevention Conference. We have the biggest section of any charity on cancer prevention and have prevention leaflets you can print off to use in schools, universities, hospitals and clubs. * Cancer Prevention: We have the biggest coverage of potential cancer causes, not just to help you prevent developing cancer in the first place, but because what caused your cancer may still be maintaining or driving it right now if you have one. We adopt The Precautionary Principle (that where there is expert evidence expressing concern, we will tell you, so you can take the action you see fit). We meet, and learn from, Cancer Survivors in real stories, by real cancer patients who became cancer survivors telling us how they beat cancer, in our Living Proof section. We will tell you all about the very latest cancer news with cancer facts from research all around the world in our unique Cancer Watch research centre. We dont want you to die from ignorance so this includes information you can use now - on treatments, lifestyle, nutrition, chemical toxins - anything that can help you beat cancer starting today. We also have a unique cancer magazine which goes into 640 cancer hospitals, cancer centres and health libraries in the UK. Called icon - Integrative Cancer and Oncology News - it has led the way in Integrative Oncology for 14 years. On this website you can even find the UK cancer Support Group nearest to where you live. Whether you want to do as much as you can to help yourself, or perhaps you want to look for a clinic in Germany or America, we can help. You can have a one-on-one chat with Chris Woollams about how best to build your tailor-made cancer programme. Of course we cover surgery, radiotherapy and drugs - from the chemotherapy dinosaurs to the new immunotherapies. But we do it with a difference. We give 20 tips to make your radiotherapy more successful and less damaging or we tell you about Proton Beam Therapy instead; and on drugs we tell the Truth, the side-effects and the limitations, plus the best diet for chemotherapy. And when your Doctors are uncertain, we tell you how to find out if you really have cancer by measuring circulating cells, and if the drug is going to work or not, or if a bioactive natural compound might work better. It is called chemosensitivity testing. We cover so much more than the other cancer websites. Be clear - we are not against drugs to treat cancer. We are against bad drugs - many just dont work very well and have side-effects that debilitate the body and actually weaken its fight with cancer. Our aim, quite simply, is to provide you with Everything you need to know to help you beat cancer. We even have a best seller book by this title. If the research exists somewhere in the world about a compound or treatment that can help you today, we want you to know about. We dont want you dying of ignorance. Frankly it should be the first book of cancer you buy. It will save you months of Internet searches and questions! As you will see across the bottom of the page we have other Best Sellers like The Rainbow Diet - and how it can help you beat cancer; The Rainbow Diet Recipe Book; The Secret Source of your Good health - the definitive book on gut bacteria and how to rebuild your gut into tip top condition, and Oestrogen - the Killer in our midst, which will shortly be available in Breast cancer and Prostate cancer versions. We also have a selection of printable Prevention leaflets which we are in the process of expanding, so you can give these to you childrens school or pin up in the office for all to read. But we dont stop there! Our team includes experts in orthodox, complementary and integrative cancer medicine (CIM). Our aim is to help you build a really effective holistic, or integrative, or integrated cancer programme tailored to your personal circumstances and needs. Thats why we have created the unique ACTIVE8 PROGRAMME (click here to go to it). It is clear to us that you need to be determined, disciplined and thorough to beat cancer. 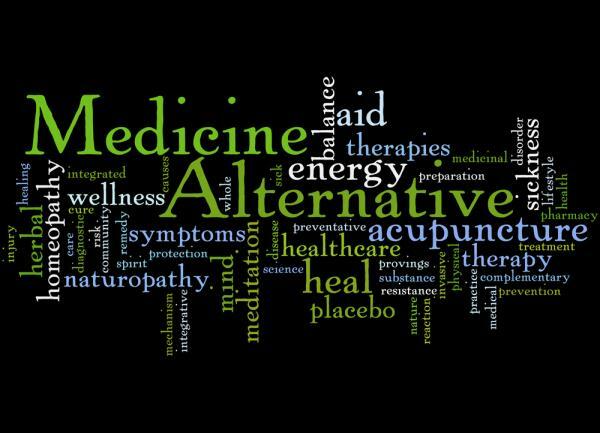 But research is quite clear: Using effective and relevant complementary therapies around your core medicine can significantly improve your personal odds of survival and even prevent a cancer returning. And that is something every patient would like to hear. The research, the evidence and the facts are all here on this website - in a unique, easy-to-read, easy-to-understand and use, magazine-style format. In many cases you will find the latest alternative treatments imn an interview with one of Britain or Americas top oncologists. The articles come from our unique magazine, icon, which can be found free in over 640 UK hospitals, cancer centres and health libraries. Or you can have it delivered to your UK address. It is essential reading. We also check and recheck the science, the information and the clinical trials, ensuring you get the real facts in an objective, unbiased way with no vested interests clouding our coverage. Just go to Cancer Watch and you are certain to find some piece of research that can help you. We are an Information and Support Charity. We do not intend to give advice. Everything we publish is already in the public domain and what you do with the information is your business. This "mission" all started in 2003 because my 22 year-old daughter was diagnosed with terminal brain cancer and given barely 6 months to live. At the time her hospital in London had never had anyone with her type of glioma live past 18 months. We both had science degrees - I had even studied cancer research - so we went on a massive information hunt to find out just what might really be able to help her - the best of the orthodox, the best of the complementary therapies, the best of the alternative treatments. We needed hard cancer facts, cancer treatments supported by quality research. Catherine lived nearly 8 times longer than predicted - and this 3600 page site is part of her legacy; it is produced largely by unpaid volunteers who just want to help you and thousands like you. We regularly receive over 8000 visitors a day. The Truth about cancer is that there is so much information out there that can help you in your fight against cancer. Some US experts believe you can increase your odds of "survival" by as much as 100 per cent by building an Integrative Treatment Programme, which is why we put together our ACTIVE8 PROGRAMME (click here to access the page). This CANCERactive website will save you six months hard work, and help you do just that. OUR TIP? Aim to cover all the bases; be thorough and self-disciplined. There is so much you can do to help yourself. So, go to the drop down boxes above the heading on this page - Go to Your Cancer to find your individual cancer. There you will find an in-depth article covering everything from symptoms and diagnosis to orthodox and complementary treatment options; or click Cancer Treatment to find all the alternative cancer options you might need (surgery, radiotherapy, chemotherapy, complementary therapies, new and alternative therapies); or click on Prevention to look at what factors might have caused your cancer - and what might still be maintaining it. We believe it is important to cut out anything that might still be harming your body, and boost your own immune system; it makes sense, doesnt it? Under Treatments you will find the 4 Pillars of Cancer, our highly acclaimed review of the biggest influences and drivers of your cancer. 4 separate articles on things you can really take action on. Might a parasite or a virus be behind your disease?? Or could it be something as simple as living next to a cement factory? Why do the Swedes have higher Breast cancer 5-year survival rates - and how can this help you? Which overseas therapies for Prostate cancer are achieving much higher success rates than UK options? Which Ovarian Cancer Drug does a US hospital say is useless and what can you do about it? What does the Mayo clinic say that stops leukaemia in its tracks (although we doubt it!)? What combination of natural compounds can bring your PSA levels down and delay the need for prostate cancer treatment? Over the last 15 years we have found out so much - and now we bring it to you, so you dont have to waste your valuable time searching, especially when you are not feeling well. Now, the top hospitals in the USA and elsewhere send us the information, every month. Top UK oncologists write for us. The magazine is in over 640 hospitals and cancer centres; top hospitals like the Royal Marsden request it! We pass on the research, the evidence, the facts, that others accidentally - or by choice leave out. But soon this will all have to change. Few people understand that your oncologist has a legal duty to inform you of all your options. If he doesnt tell you that curcumin is used to treat your condition in America or that going to stress management classes will increase your survival significantly, it is no excuse that he did not know. This could be why more and more oncologists read this site. We are a truly independent charity with no vested interests. You, your needs and your interests come first with us; not profits, or building a business, or any other hidden agenda. But, this site costs us money. And, obviously, our objectivity means that the big corporations like the drugs companies and the vitamin vendors rarely want to sponsor us! The fact is that we can only help people like you, if people like you help us! So, if you find it useful, please think about giving us a small donation, so that we can keep up the work of empowering patients to help them have the very, very best chance of beating this disease.